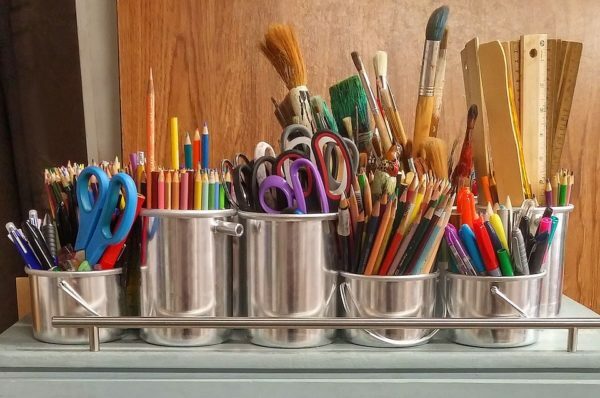 Decide early on which art supplies you will need to replenish and which ones you will need to stock from scratch. Test your markers to see if they are dried out, check on your modeling materials to ensure they haven’t turned to dust and look at your paint (especially liquid tempera) to make sure there is no mold growing. Here’s what I think should be in every art cupboard: pencils, paper (white drawing paper, colorful construction paper and textured water media paper, pastels (chalk and oil), crayons, markers (including black Sharpie markers), scissors, glue, paintbrushes, paint (watercolors for sure and if you can swing it, acrylic or poster paints), and modeling material (clay, Plasticine, Model Magic, or homemade play dough). There’s nothing worse than a classroom demonstration gone horribly wrong. 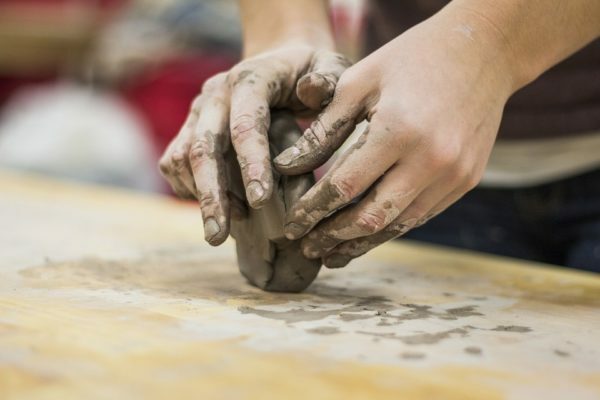 So, before you introduce your students to a new technique, test it out at home ahead of time to make sure your materials will behave the way you want them to (and hope they will). Similarly, mix any materials (like paper mache paste) before class starts to save precious classroom time. While you may not need to plan out your entire year ahead of time, it’s a good idea to figure out what you will be sharing in the classroom in the short term. Working with the Elements of Art is a nice place to start. Two weeks each of line, shape, color, form, space, texture and value is a nice place to start. Or, you might choose to look at which master artists have a birthday in the months to come and find lesson plans inspired by their work. Scholastic Art is more than a magazine. It’s an entire program featuring both print and online materials. 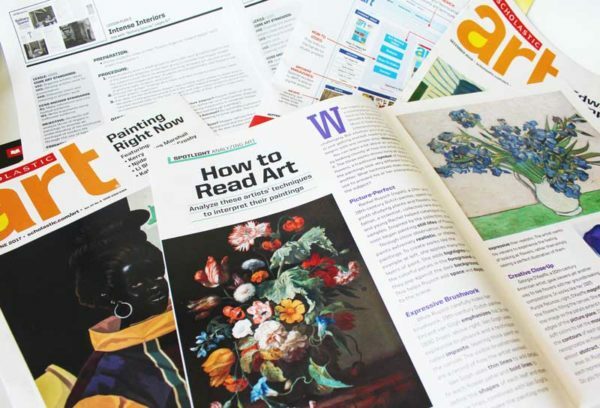 Each full color, glossy magazine begins with Art News + Notes, a section with bite sized bits of information about contemporary art and artists. Each paragraph features a question to engage students in a conversation about the material. Next is the Spotlight section which provides an in-depth look at the featured cover artist, movement or theme. There are several articles in each Spotlight section which examine influential artists from diverse backgrounds, time periods, and movements, as well as a “5 Things to Know About” page. The articles are written in a friendly, approachable way, in easily digestible chunks, perfect for middle and high school students. I love that key words are typed in bold text to allow for further investigation and the writing prompts provide nice tie-ins. Following the Spotlight, is the Debate where students (and teachers) are challenged to craft an argument for or against a topic. Recent issues have tackled painting live animals, Pokemon and fast food. The Student of the Month provides inspiration for other young artists while the Hands-On Project offers ideas for bringing the cover artist, movement or theme into the classroom. The back of each magazine features Great Art Jobs, where kids can learn about art-related careers like lifestyle photographers, editorial cartoonists and industrial designers. Every issue of Scholastic Art comes with a supplemental Teacher’s Guide, FULL (and I mean full) of lesson plans that tie in with the issue’s theme. 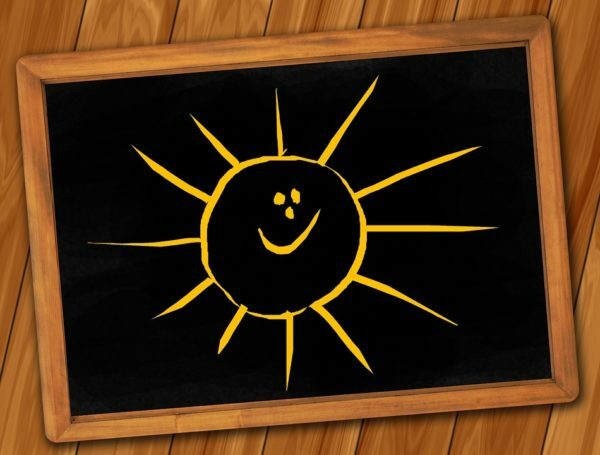 Lessons are designed to meet rigorous state standards and are geared to middle and high school students but every teacher’s guide also includes an insert for elementary school level children as well. 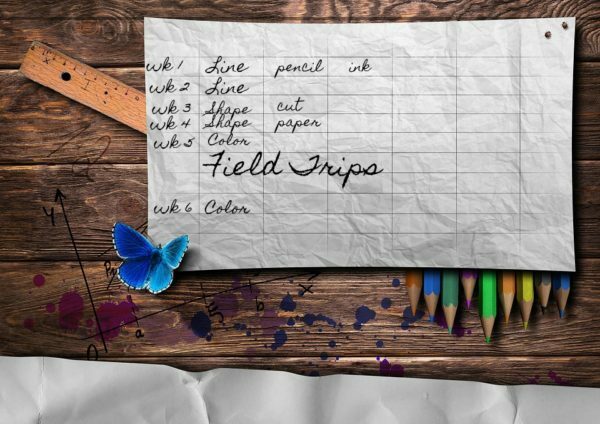 In addition to the well-thought out (and tested) plans, there are reproducible worksheets including reading reviews, graphic organizers and sketchbook starters. And don’t even get me started on the included full color classroom posters which are good enough to frame! 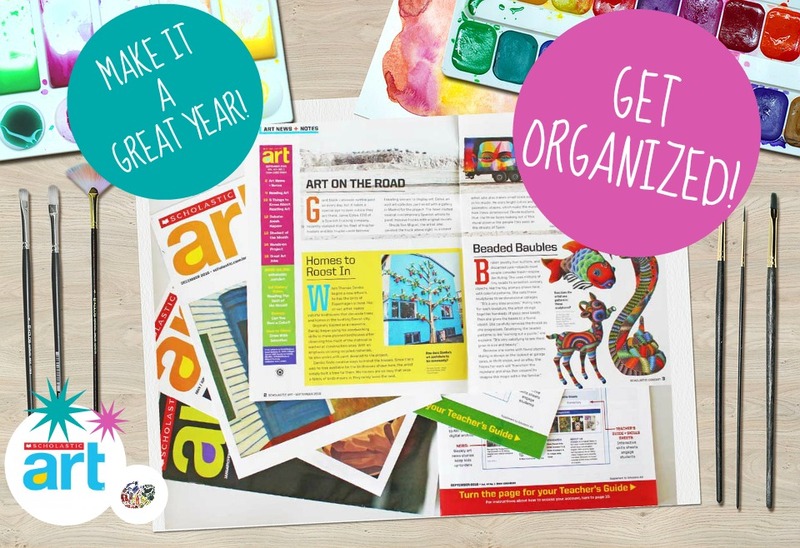 Honestly, whether you’re a classroom teacher or an art educator (or a homeschooling parent), you will adore the resources available to you in each issue of Scholastic Art magazine. And, subscribers are given access to an entire online world including videos, more skill sheets, archives, artist bios and more. You’ve got this. Trust in your abilities and you and your students will create magic together. Scholastic Art can help. 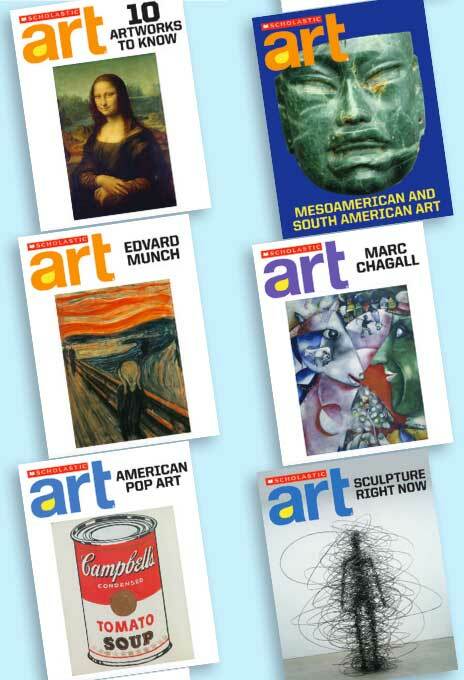 Note: The Scholastic Art Magazine giveaway has ended and a winner has been notified. Thanks to everyone for entering! Review samples provided by Scholastic. We have partnered with Scholastic to bring you this giveaway.